Promote and evolve a vision for our future and for the future of those generations yet unborn. 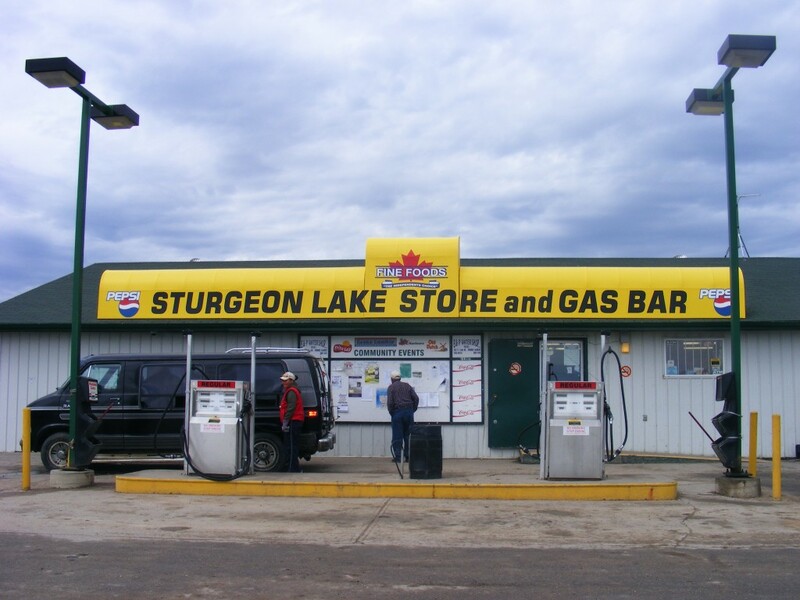 The Sturgeon Lake First Nation Store & Gas Bar has been in business since November 2001. Since then we’ve seen our community grow. We’ve gotten to know our band members that come in and out of our store; we’ve also gotten to know what their needs are. We’ve also grown a relationship with them. Since opening in November 2001 we’ve trained and employed approximately 150 Sturgeon Lake First Nation Community Members. We’ve given them a chance to explore the retail business environment. Also, the store has given them chance to become more self-empowered. In 2014 the Sturgeon Lake Store has undergone a full renovation to all 3 till areas, allowing customers to flow in and out of the store comfortably. We renovated our kitchen area bringing the Fast Foods display into the front of the Store for easy access to freshly cooked chicken, chicken wings, ribs, wedges and pizza. We included a staff area with a bathroom and private fenced-in resting area. We also, remodeled the office space and included an office for the General Manager. The Sturgeon Lake Store & Gas Bar has an average 18 employees including 9 Cashiers/ Gas attendants, 1 kitchen cook, 3 Floor Supervisors, 2 Office Supervisors, 2 night-watchmen, and 1 contracted General Manager. Our Stores operates 7 days a week and provides our community with Groceries, Hardware, Automotive, House hold items, Confectionary, Fast Food. We also operate the propane heating for the community houses and businesses. We act as a Wholesaler for Furniture and Appliances. In August 2013 the Sturgeon Lake Store has helped our Band get our very own Postal Code, allowing our band membership to receive their mail right at our store instead of traveling to Spruce Home or Shellbrook. The store will be providing a new service as of November 2015, a Propane Filling Station, we will be able to fill 20lb bar-b-q propane cylinders and 100lb propane cylinders, these 100lb cylinders will be used in case of emergency in the winter months to help carry the customer until the propane truck arrives. The Sturgeon Lake Store is Big Business for our community by providing a training centre for a lot of 1st time job applicants. Substantial sales provide a payroll of $498,000 and with solid profits that all go back to the community through a sensible Band Distribution Policy. Be proud of our store; Support it as much as you can! It’s a success and the envy of a lot of other reserves.